Before the first episode, there’s the end credits of MASH. 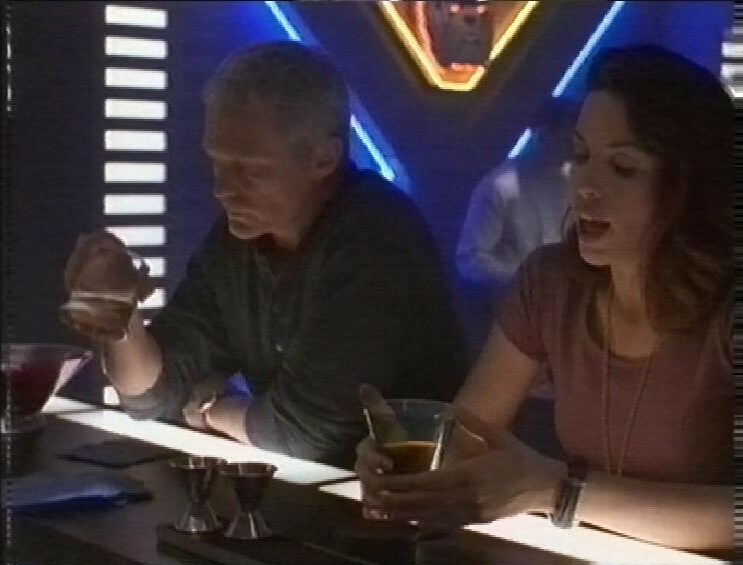 THen Space Above and Beyond with an episode called The Angriest Angel. There’s a new alien fighter, and it’s the worst yet, killing lots of pilots. 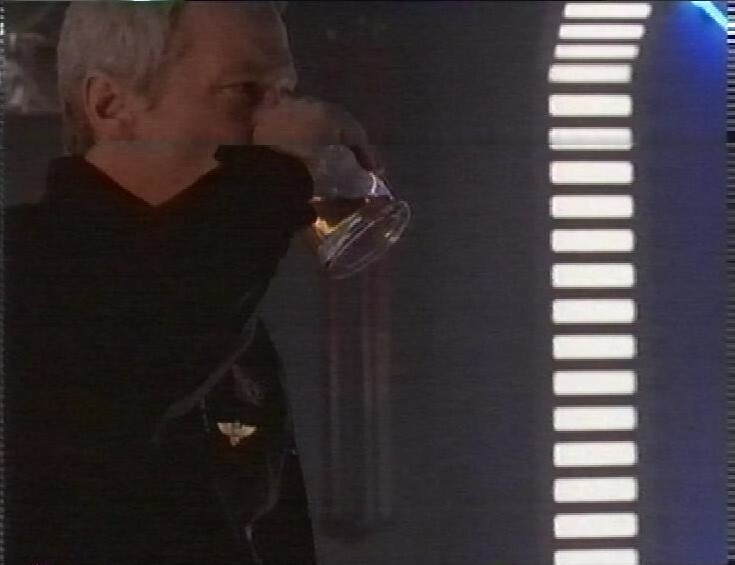 Col McQueen has something to prove in this episode. 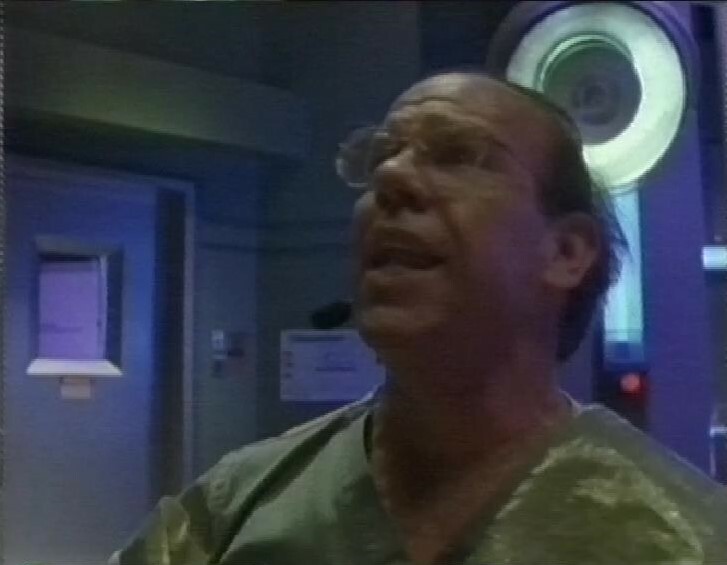 One of the team, Lt Winslow, (not one of the opening credits team though) hits on the colonel, and he’s not having it. There’s a subplot with an AI sabotaging warheads. 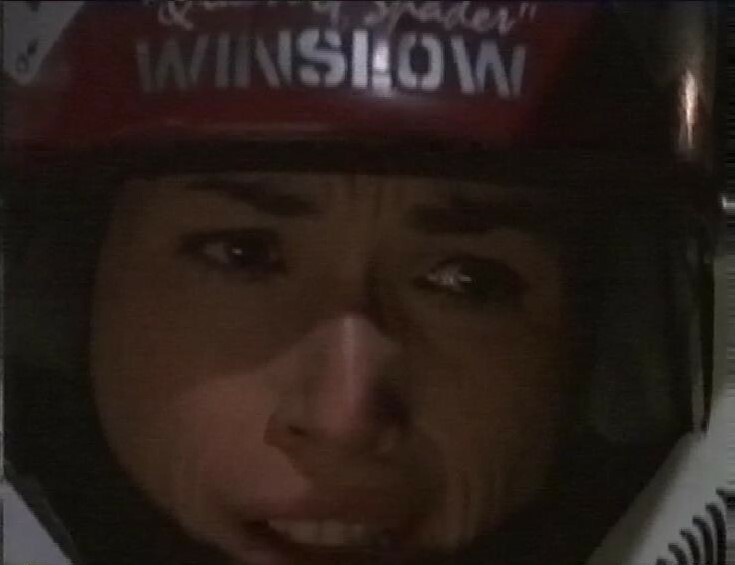 Imagine my total lack of surprise when Lt Winslow is killed on the mission trying to kill the alien fighter. So naturally, McQueen has to go out and kill the fighter for them. It ends with him thinking to himself “what was the point?” and I share his curiosity. Next, The Outer Limits. In The Heist, a group of mercenaries hold up a truck which they think is carrying stinger missiles, but is actually carrying an organism made of Liquid Helium. 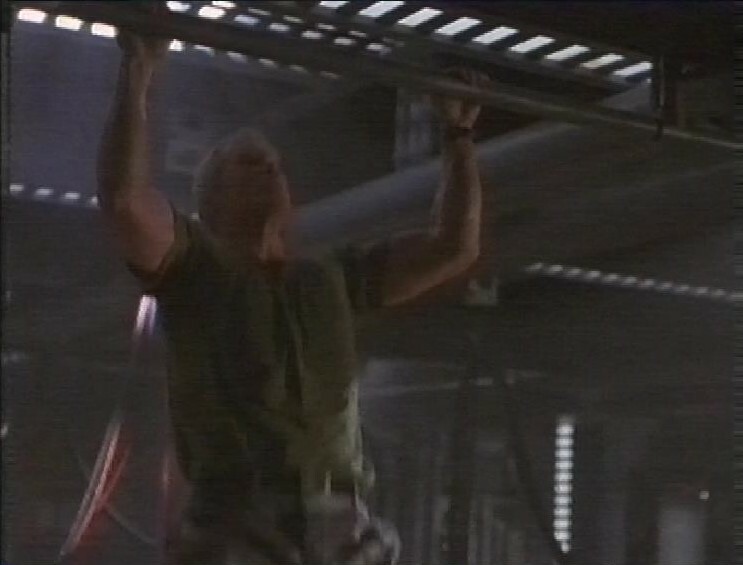 This really is a tired rehash of Predator, or more accurately, a low-budget remake of that scene in Predator 2 where Gary Busey’s team track the Predator in a cold storage facility. I suspect most of the budget of this episode went on the ice sculptor who made all the frozen bodies just before they all shatter. There’s a piece of nonsense technobabble at the end, where they decide that the only way to kill a creature made of Helium is to use Neon “like a neon sign” because Helium “reacts” with Neon. Which it doesn’t, both of them being noble gases which don’t usually react to anything. 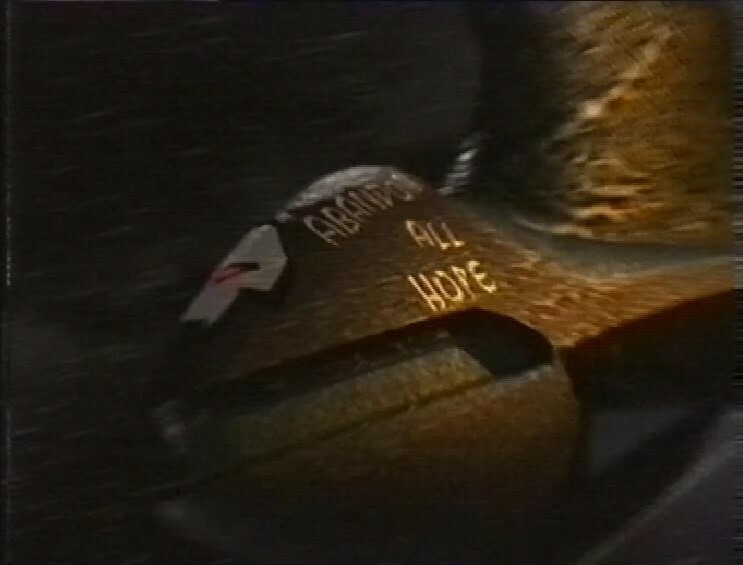 After this, another small chuck of MASH before we’re back to Space Above and Beyond and Dear Earth, which spends a whole episode with the team receiving mail from home. 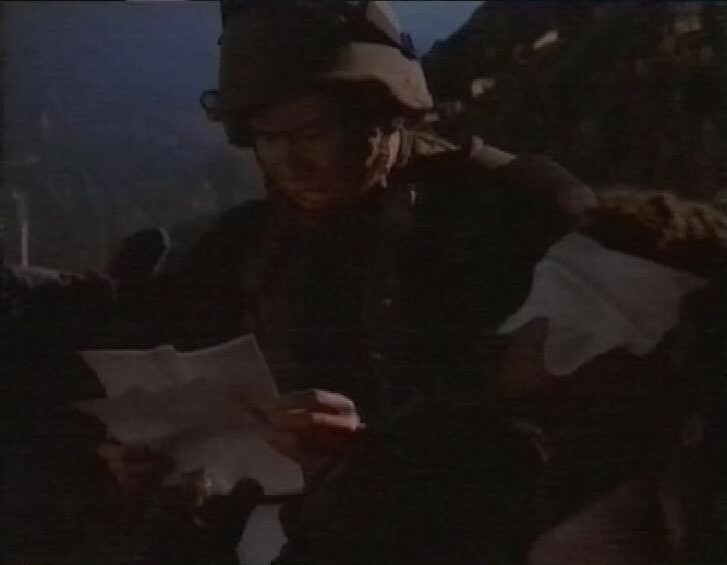 Well, that’s not true, they do go on a mission, and Damphousse gets injured in the eyes, so naturally she asks Lt Wang to read out the long letter she just received from her boyfriend, which gets awkward when it turns out it’s a Dear John letter. After this, another Outer Limits episode called Blood Brothers. Charles Martin Smith drops a vial in a laboratory, and his brother just lets him die. But it’s only a bad dream. Smith is working on a humane crowd control virus. But it kills 80% of animals it’s been tested on, so it’s not going well. Spandau Ballet’s Martin Kemp appears as the brother who gives Smith nightmares. They are vying for control of the company after their father died. The new virus suddenly appears to be a super-cure for everything, but the company wants to keep it secret. 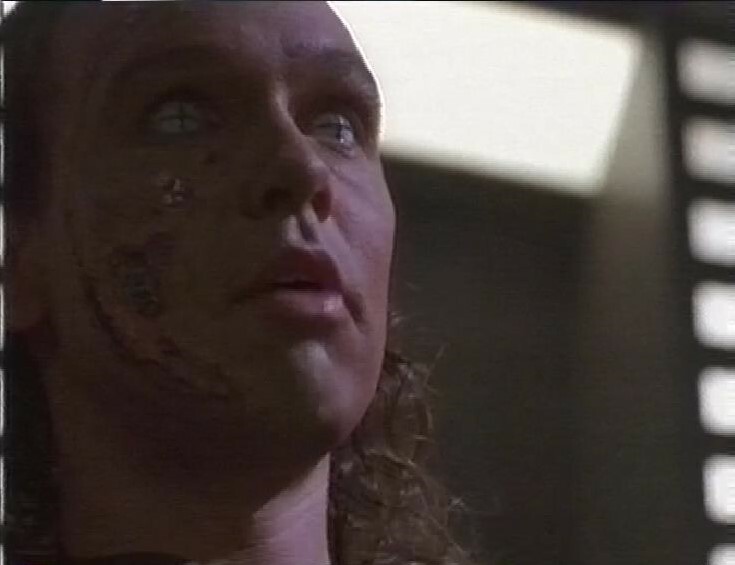 Them we learn that Kemp has inherited their father’s degenerative disease, so he takes the cure, temporarily gets a lot better, kills some people, then learns that the cure only works by running his cells’ healing mechanisms at accelerated rates, thus using them all up, and he shrivels up and dies very young. Scientific irony. Here’s a picture, which you can use in one of those “want to feel old? This is what Martin Kemp looks like now.” tweets. 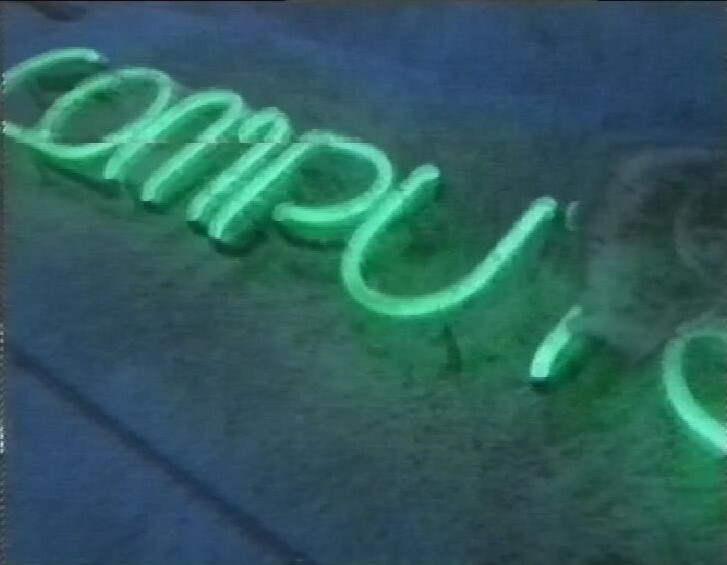 After this, recording continues with the start of an episode of Quantum Leap, during which the tape ends. In one of the ad breaks, there’s a couple of Nat West adverts. At least, I’m assuming they were for Nat West, because they were really just a couple of black and white shorts showing two different women being stressed in their everyday life. There was no caption at the end, and the only clue it was for Nat West was a single shot in each. 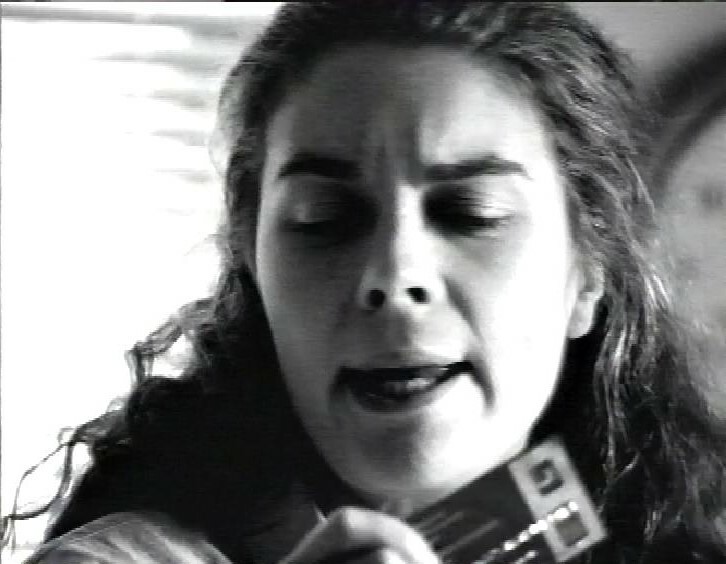 In the first, there’s a brief flash of of a cash card. 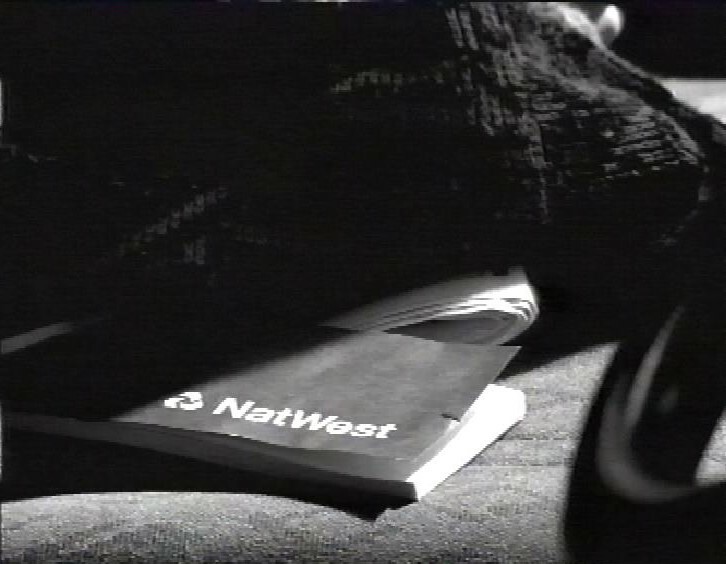 In the second, a more obvious shot of a NatWest logo outside a branch, but only in passing near the start of the ad. 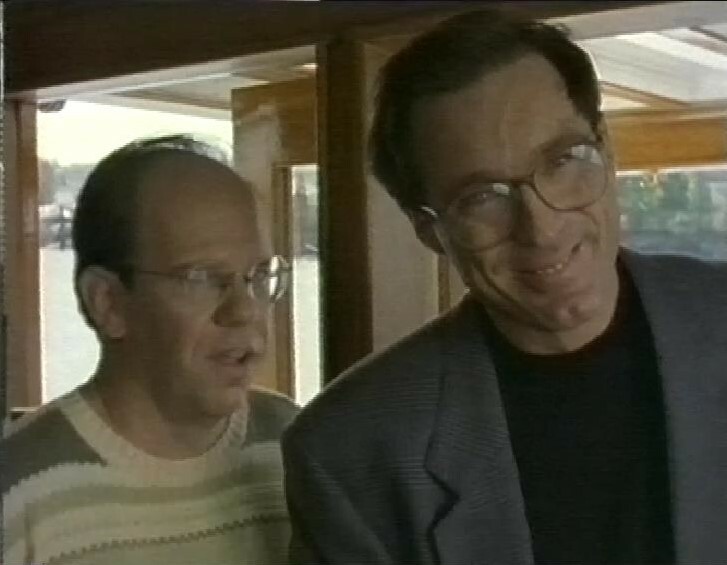 In another break, there’s another, featuring Gary Olsen as a man with his son, and again, the only sign is a cheque book. I’m assuming this was part of a larger set of ads which tied all these together. 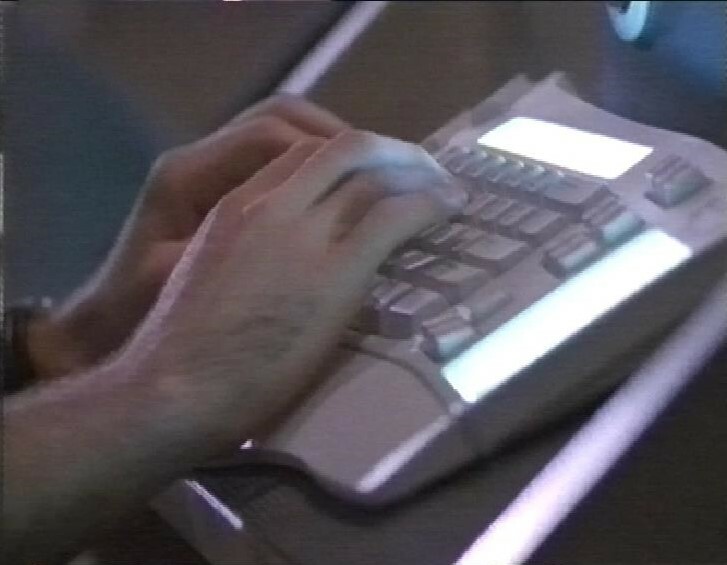 The freezing alien episode of TOL might have been inspired by The Entity, where the parapsychologists freeze said Entity to try and destroy it. Based on a true story! But not that bit.